Honestly YA: Ten authors, One love. : Tuesday with T Michael Martin! 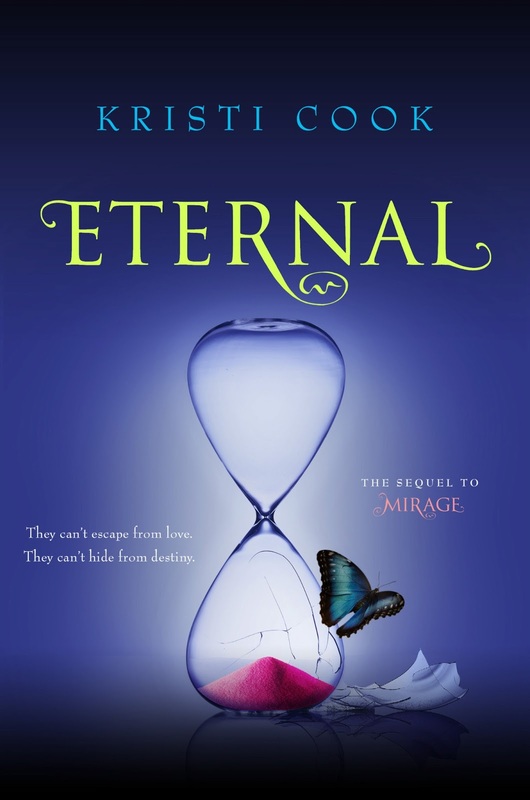 Honestly YA welcomes debut author T. Michael Martin - an author to watch! Or maybe, all it will take to sway you is a visit with Mike. 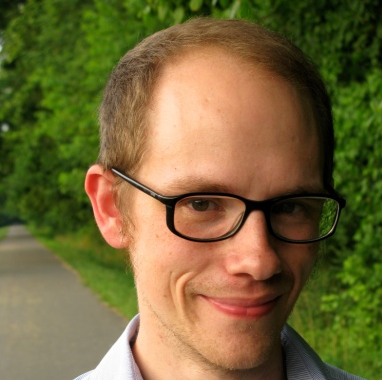 So, it is with great pleasure that I welcome T. Michael Martin! Mike, thanks for taking the time to answer some questions for Honestly YA today. I promise, it will be painless (or, less painful than surviving an apocalypse, anyway). Ready, set, dish! 1. We start simply: What book or film spoke to you most during your teen years? I think the film that most captured my emotional experience of being a teenager was Rushmore: It has a kind of beautiful, Charles Schultz-melancholy about it, and back then, I identified with the film's odd over/under-achieving protagonist. But really, I'm mostly a child of blockbusters: Movies like E.T., Back to the Future, Jaws, and T2 were meaningful to me in different ways. And I fell in love with the way they tell “huge” stories on a very emotionally intimate scale. As for books, as corny as it might sound, I found Letters to a Young Poet an enormous comfort to my (inretrospect-kinda-sweet) teenage anxieties. Also, I remember reading Nick Hornby's books and wondering how that thirty-something Brit had found the back door into my brain. 2. I think a lot of us have suspected authors can tap into our subconscious. Do you have a book (or books) or film that you reread regularly? 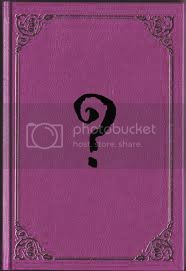 If yes, what book or film and why? I read The Stand about once a year, which I genuinely think is a pop masterpiece. I revisit everything by John Green and Sara Zarr a lot, too, because their (gorgeous, complex, generous) books showed me what YA could do. The film I most revisit is E.T. : It's my favorite movie—its mix of joy/despair/wonder/terror is everything I'd like my own work to be—and even though it's one of the most popular films of all time, I still kinda feel like it's my movie. 3. Okay, we'll give you E.T. as your movie. What about books? What YA novel or novels have you read recently that you most want all your friends to read? Sara Zarr's The Lucy Variations! 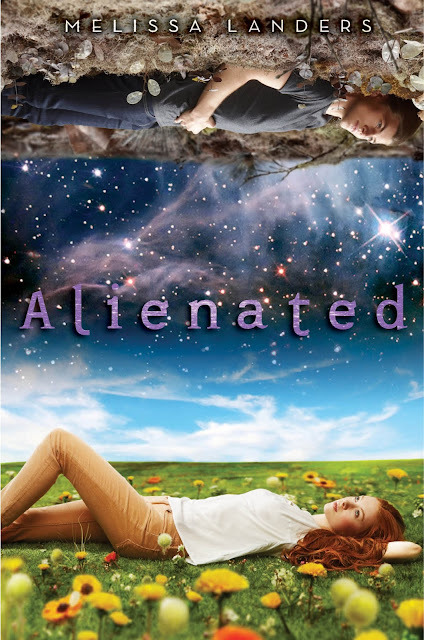 It's Sara's best book, I think, and (no joke) one of the best contemporary YA novels ever. 4. How have those earlier book/film-loving years impacted your decisions as an author? In other words, did love of those stories make you want to write teen fiction? In a way, definitely! Film is singularly powerful at conveying the awe and wonder of fresh experience, and one of the reasons I love YA is that it inherently deals with fresh experience. I think one of the reasons for the recent surge in adult YA readership is that YA's protagonists are people experiencing a vital kind of direct contact with life--an experience that can sometimes feel sadly absent in adulthood. So for me, wonder and mystery are two of the great joys on planet Earth, and both films and reading/writing YA reacquaint me with those feelings in a way that few other things can. 5. I don't think I have a question that cold possibly top that answer. Let’s talk about THE END GAMES now! What inspired you to write this story? Was there one (or more) particular thing(s) that captured your creativity? Well, not to risk my ultra-manly persona, but: I wrote the book for my little brother. I'd been wanting to write a story with zombies for years (I have on my hard drive an unfinished screenplay I wrote in eighth grade titled -- don't judge me -- Planet DEAD), but it wasn't until 2008 that I found a door into the story emotionally. My real-life little brother, Patrick, and I were visiting Pennsylvania's Monroeville Mall then (the mall was the shooting location for the original Dawn of the Dead), and a random thought occurred to me: Why not write a post-apocalyptic book about two brothers, separated by ten years or so in age, trying to survive Armageddon in my home state of West Virginia? I love my little brother so much, and owing to our age difference, I acted as both sibling and semi-parent to him as he grew up. So when I started writing THE END GAMES—which is about two brothers named Michael and Patrick—I was also writing about this question: How do you protect innocence during the apocalypse? Or, maybe better put: Can you? 6. That's something that will require deep thought to answer, I think. While I'm pondering that, would you share with our readers how the characters of Michael and Patrick developed? Are they very much you and your brother or does the similarity end with the names? They started out as us. After awhile, though, as the characters grew, they became so different from me and my brother that I didn't feel weird about using the names (which I'd originally intended only to be placeholders until I could come up with something better). But even though they wound up being so different from me and my real-life brother, the one thing that never changed, in life or the book, is the love the brothers share. 7. You live in West Virginia. Curiously, THE END GAMES is set in West Virginia. How much on-the-ground research did you do? Was there hiking, biking, camping involved? 8. If I've never read a zombie book or watched a zombie movie, what's a good 'primer'? Or can I leap right into THE END GAMES without knowing any of the lore? You can leap right into THE END GAMES for sure! 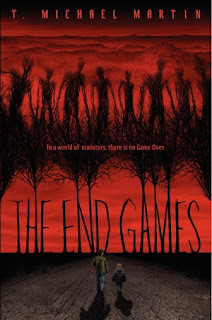 This might sound funny, but I don't actually consider THE ENDS GAMES a “zombie book”; I've always thought of it as a psychological thriller that happens to takes place in a living-dead world. More importantly, though: The book has its own fully-explained mythology, so readers will be okay even if they'd never heard of Night of the Living Dead. 9. Oh, that's super good to know! I like a story that presents its own mythology. But that's me. 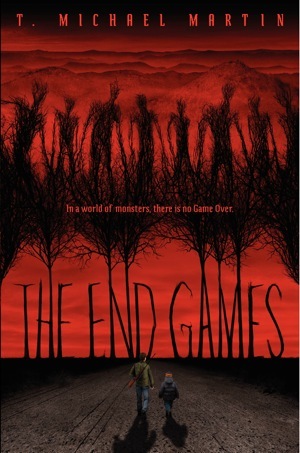 For our readers, what books or films would you say “if you liked XYZ, you’ll love THE END GAMES”? Early readers have compared it a lot to Stephen King, The Road, and I Am Legend (which is, of course, really really really flattering). In a recent starred review of the book, Booklist also compared it to Patrick Ness's amazing The Knife of Never Letting Go. 10. What’s next on your author horizon? Right now, I'm working on my next book for Balzer + Bray, due out in autumn 2014. 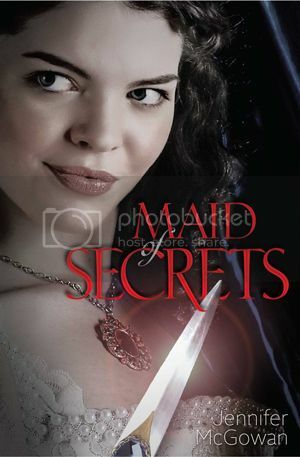 It's another YA thriller, and although we're keeping the plot a secret at the moment, I will say that it's not a sequel to The End Games, and doesn't have any zombie-ish creature in it. I'm also excited to be working on a new screenplay with a filmmaker whose work I really love. And I'm looking forward to growing my YouTube channel (www.youtube.com/tmikemartin), which I started in November and hope your awesome readers will check out! Thanks so much for having me, y'all, and for all the wonderful questions! Wow, thanks so much for having me over for this interview, Jennifer! I really enjoyed working with you! Mike, it's so awesome having you here with us! I think you MAY be our first male author. Not sure if you can parlay that into something as fabulous as "best seller" but it's got to count for something, right? I can't wait to get my hands on this book, Mike! It sounds phenomenal. Mega congrats! This book sounds amazing! I'm a huge SUPERNATURAL fan and the brothers' relationship is key to my emotional connection with the show. I'm reading your description and picturing a young Dean and Sam - hope that doesn't offend you. You've cited so many of my favorite books in your interview, too. 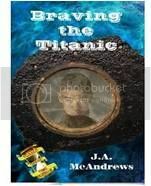 This is going to the top of my TBR list!